Caution: could be habit forming. 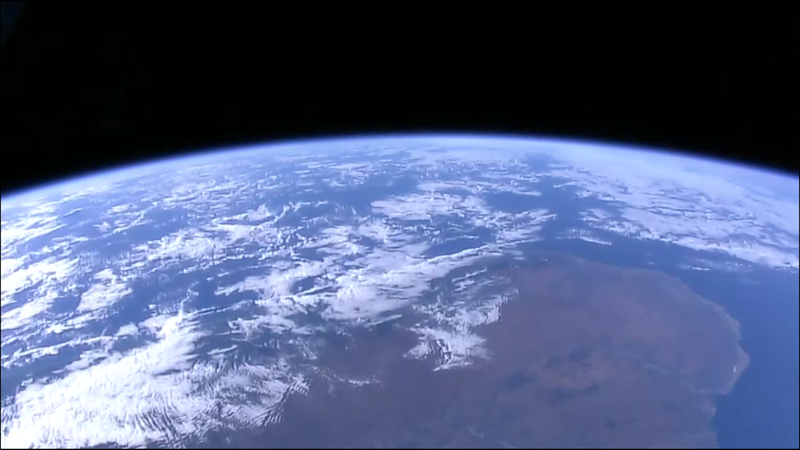 I’ve told you before about the free NASA-TV app which includes the “Live HD Views From ISS” feed for free as well. 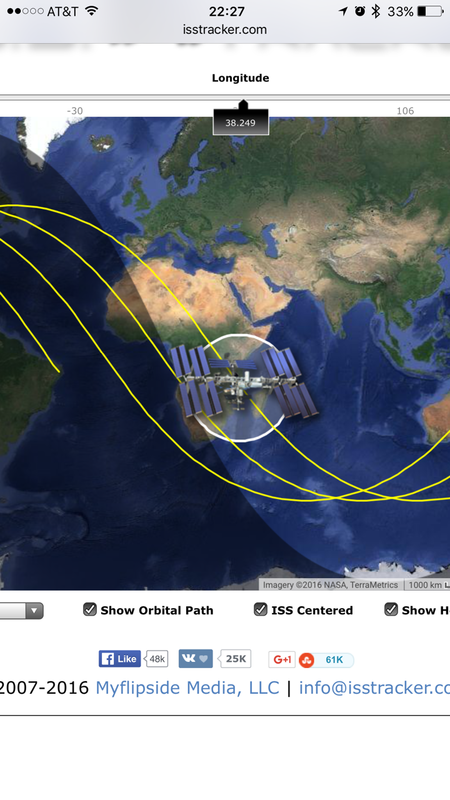 If you want to know where the ISS is when you’re looking at that free video fee, use the free “ISS Tracker” app. If you’re anything at all like me (which is somewhat likely at least a tiny little bit, otherwise why are you wasting your time reading this website?) 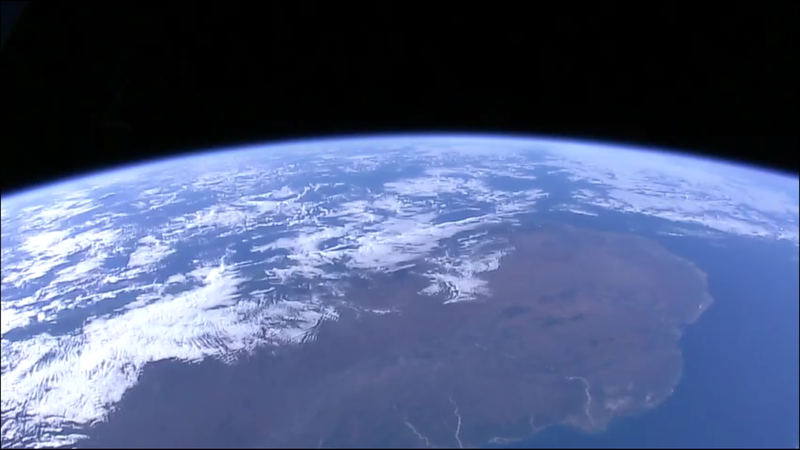 you will be able to watch the view from the ISS for hours and hours on end. It’s very relaxing. 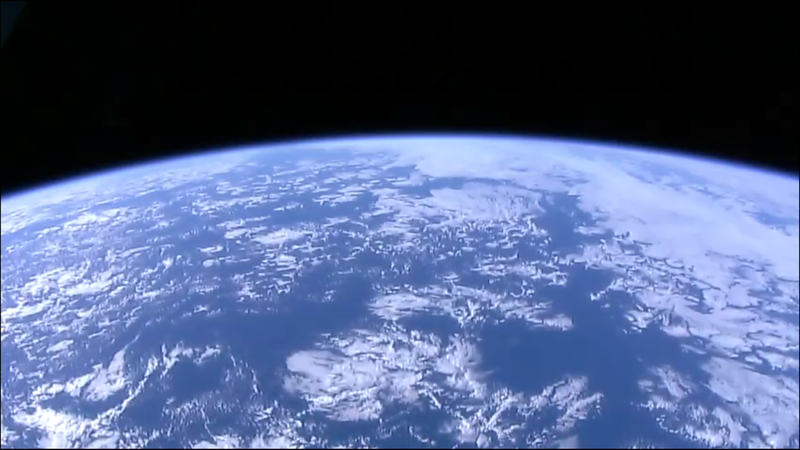 I would love to have it displayed 24/7 in my office, like a framed, live picture into space. 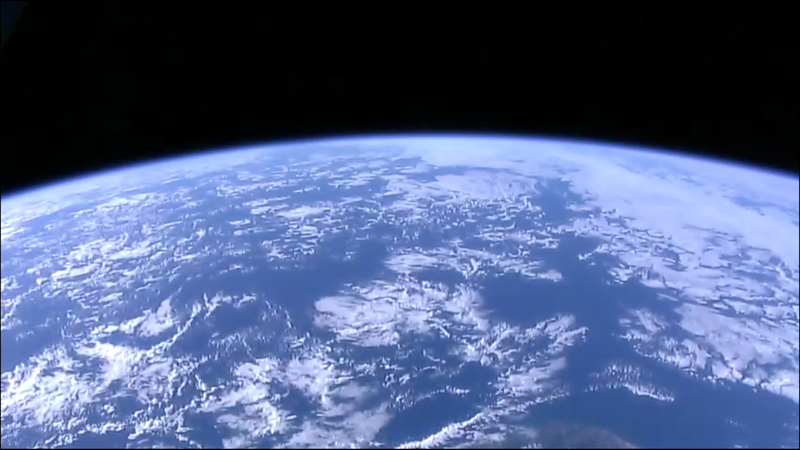 Over a land mass, coming up on a coastline, with another land mass on the horizon. 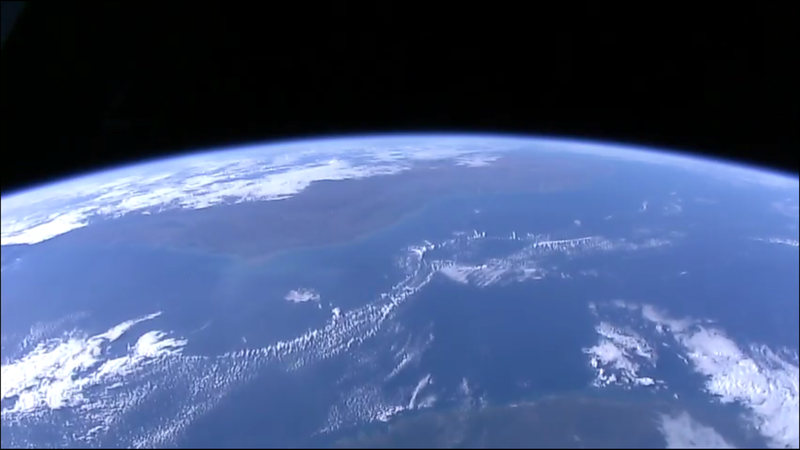 Something like the Gulf of California between Baha and the Mexican mainland, perhaps? 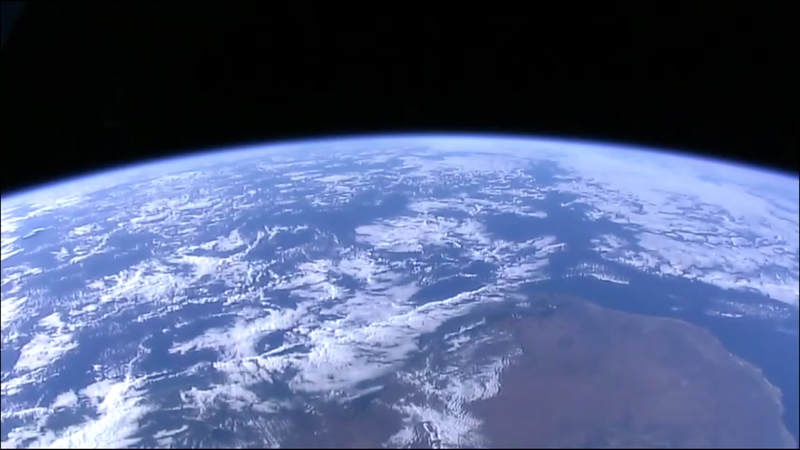 Probably not, this is live and it was well after 22:00 here on the US West Coast, so there’s no way Baja is sunlit. 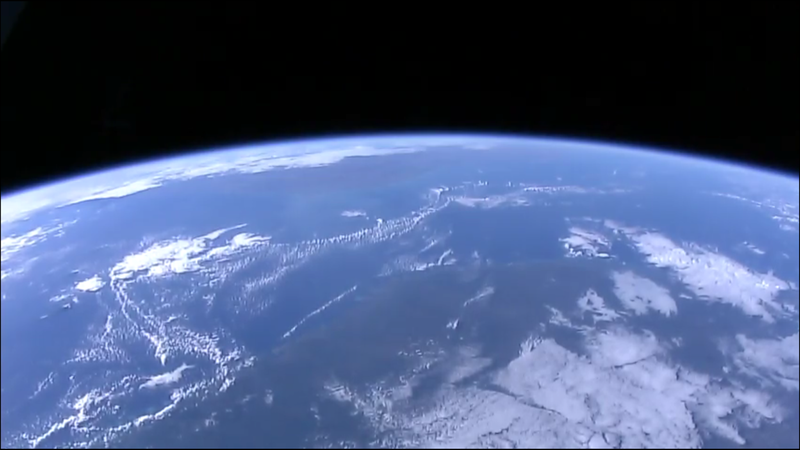 Wherever it is, the west coast is clear, with clouds piling up along the east coast. 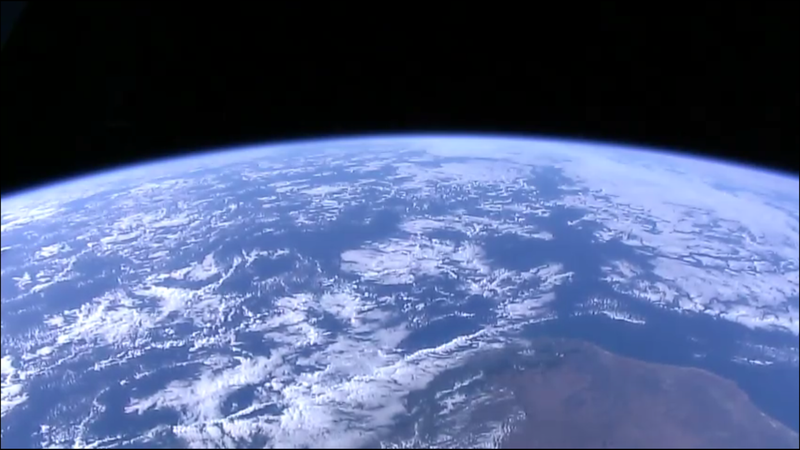 There’s a southern tip of wherever this is, so it’s not a continental mass approaching. Probably an island. A big island. 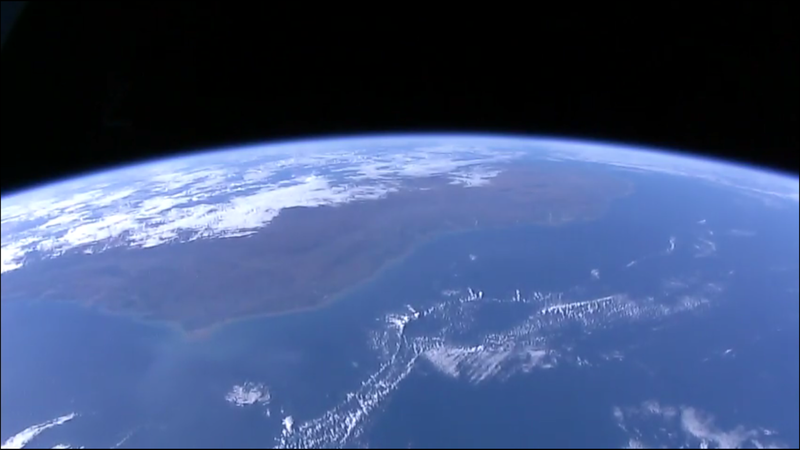 We crossed over the east coast of something and now there’s a big island there. Stunning cloud formations off to the east ahead of us. No land in sight on the horizon, so this is it for the landmarks for a while. Coastline. Big island. Lots of ocean beyond. A nice, thin line of storms along that coast it seems. But no big cyclones or hurricanes in sight, which is good if you’re down there. Why do we call it “Earth” when it’s three-quarters water? That’s it, out over the vast ________ Ocean we go! Look at that! 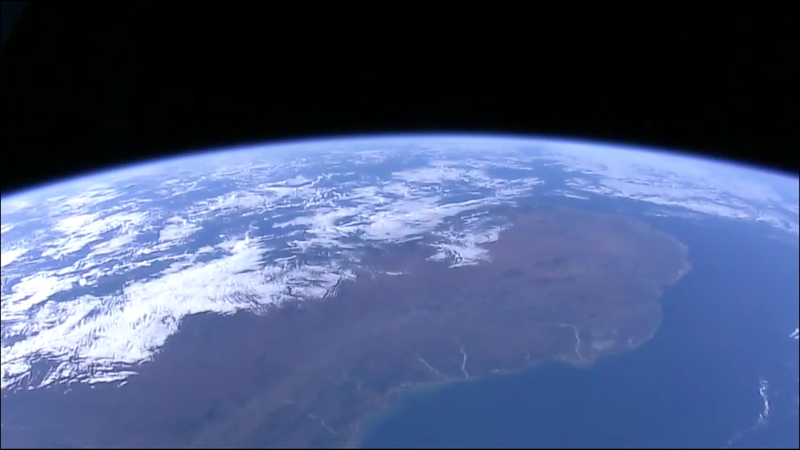 We came off of the east coast of Africa, over the southern tip of Madagascar, and out over the Indian Ocean. We should have waved at the lemurs! 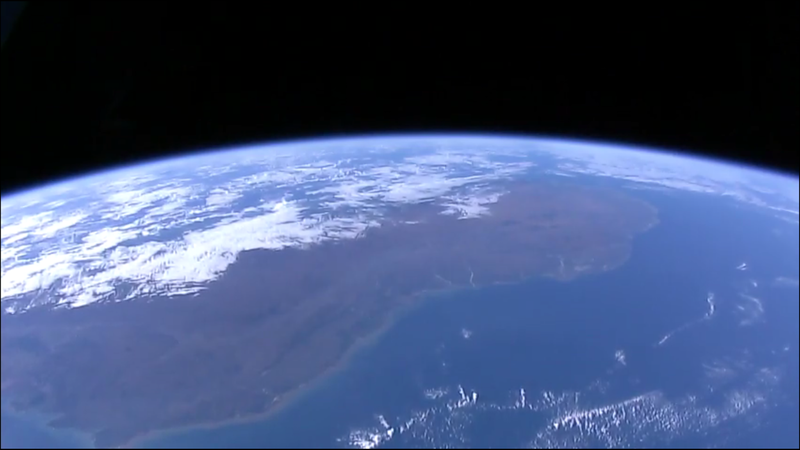 And in the forty minutes since that first picture was taken, while I’ve been writing this, the ISS is now approaching the Northern California coast, headed toward Canada. Remember, the next time you’ve watched one too many news show or had one too many clowns try to kill you on the commute home, serenity is available at your fingertips. Non-prescription, totally addicting, beamed right to your phone or computer (switch to booming, echoey voice) FROM SPACE!! If we could set it as wallpaper, I’d never do any work! Ditto! But you say it like it’s a bad thing!